The Duster from Dacia comes in at the affordable end of the market and provides superb value for money. The small SUV has been designed to take on Nissan’s Qashqai and others as the value-adding option. The Duster offers low running costs, a versatile cabin, and attractive looks. In Newport you can take ownership of the Duster for even less with Wessex Garages Dacia’s new car offers. Through 48 monthly payments of only £109, a low deposit, and a final fee, you could own the compact SUV and drive with complete satisfaction. The large dealer deposit contribution makes this offer even more worthwhile.Dacia keeps its prices low by omitting unimportant features and instead focuses on what matters – the drive. Longitudinal roof bars allow you to carry more and larger items, while ECO mode plus start/stop technology reduces the vehicle’s fuel consumption and emissions. Dacia’s touchscreen satellite navigation and infotainment system - known as MediaNav – is one optional extra in the range-topping trim. 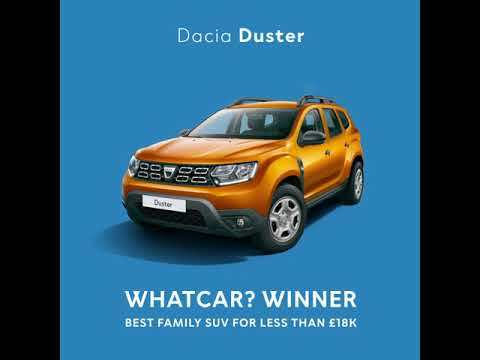 Contact a team member in Newport to discuss your Dacia Duster new car offer options, and view our stock of used cars here on the website. Make a direct enquiry online or by phone to schedule a test drive when it is convenient.